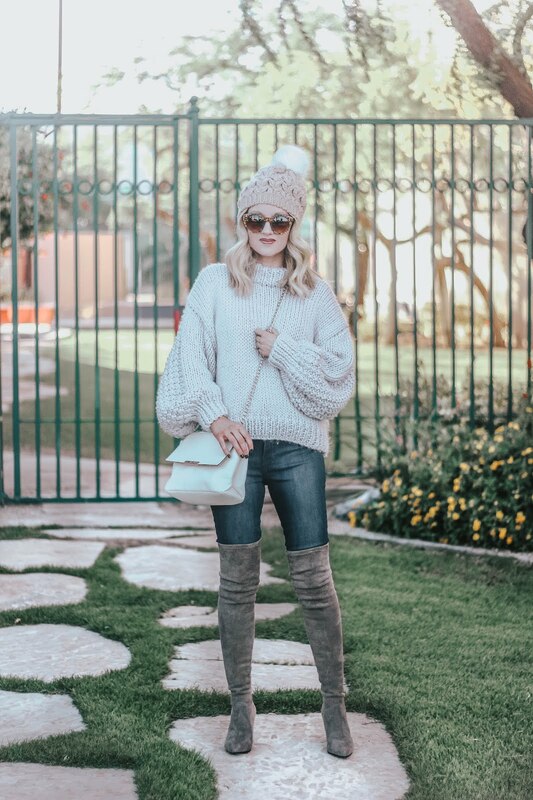 Sweater: Chicwish c/o | Jeans: Mott and Bow | OTK Boots: Goodnight Macaroon | Beanie: Old similar here and here | Lipstick: MAC in shade "O" with this lipliner in "Mahogany"
I feel like once October rolls around the days just fly by twice as fast. 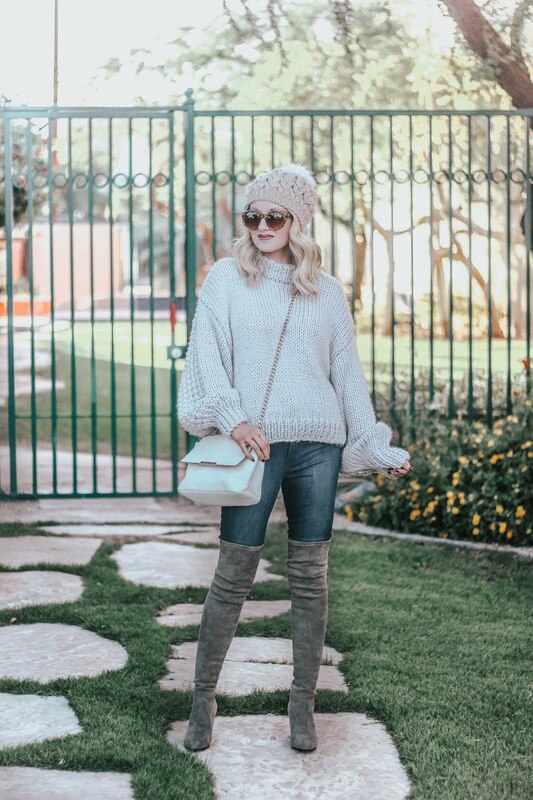 I can't believe I am posting a "Winter" outfit! 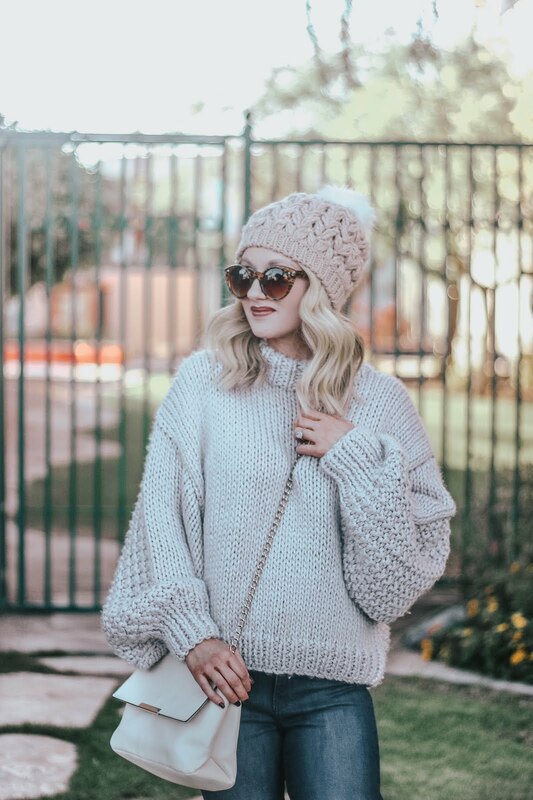 And it goes to this adorable chunky sweater from Chicwish. I cant't get enough of it! 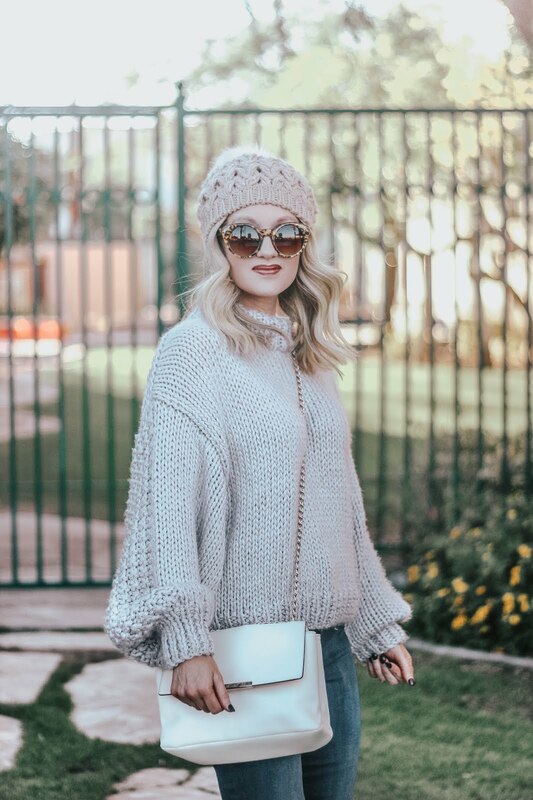 It has been chilly here (which is shocking) and this sweater is so warm and cozy and the bubble sleeves are obviously my favorite..what else is new? It also comes in 3 other colors.